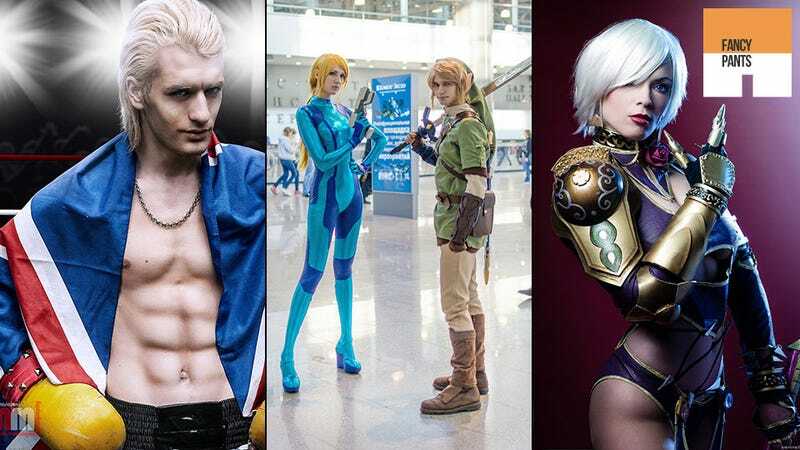 A meeting of two of Nintendo's biggest stars at the recent Igromir 2012 show in Russia is just the start for this week's Fancy Pants, which also features stunning outfits from Tekken, Mass Effect and the non-furry side of Pokémon. You've got to admire the Assassin's Creed III: Liberation costume below as well. Crafting accurate costumes from games that are out must be a lot easier than building one based off a few screenshots and trailers designed to show off the character's best sides, not all sides.